Online retailer defies apocalypse, expands to brick and mortar. Guided method for collaborative, data‑to‑decision workflow. SliceShop, an online cutlery retailer, was considering a brick‑and‑mortar expansion. They had done two successful popups. 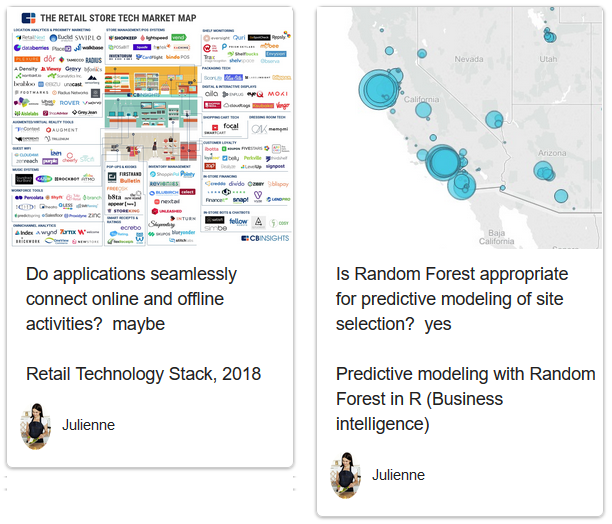 Julienne led a collaborative decision analysis with data scientists, business analysts, subject matter experts, and executives. After performing prescriptive analytics and qualitative research, the team recommended stores in the southern California trade area. They produced executive-facing insights and demonstrated value with simple visuals. Julienne exported key findings to PowerPoint. But to avoid harmful biases from conventional presentations, beauty contests, and storytelling, she led a team-wide discussion where value was explained upfront. Commentary by senior decision makers was held until the end. Eventually they decided to open three shops in southern California. As the brick-and-mortar stores opened, SliceShop continued adding to the DTD workflow. What emerged was a single repository of relevant evidence and reusable analytics assets. PepperSlice was integrated into SliceShop’s analytics platform, enabling managers to track performance and revisit decisions. For example, actual YOY sales figures are routinely pulled into the workflow environment for comparing to plan. So far, the brick-and-mortar expansion is a success. 1. D = Data for What? Nothing happened until the key question was clear: In this case, “Should SliceShop open brick-and-mortar stores?” The team then identified supplemental questions: How will we decide? Is our supply chain adequate? 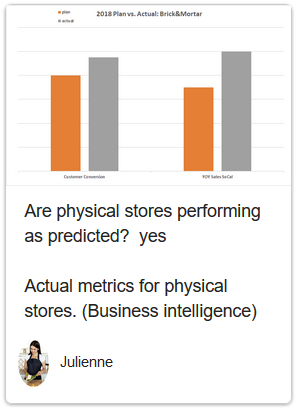 What will new analytics cost? Each question was explicitly added to the workflow. Next, the team identified purposeful data sets: What data could help answer specific questions? 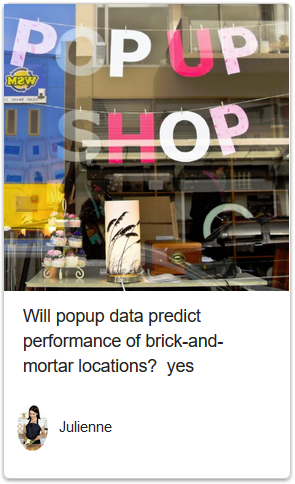 Who could apply novel data-gathering approaches? Insights were captured in PepperSlice. Julienne searched the PepperSlice Knowledge Graph for relevant insights. 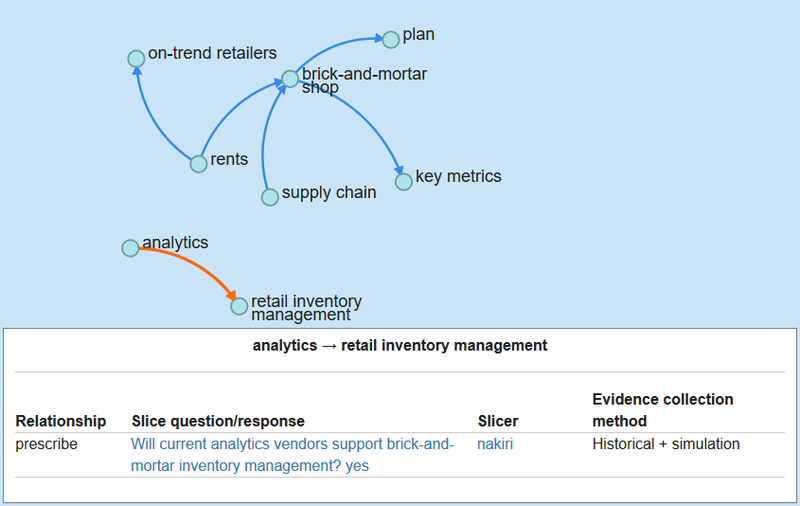 She discovered a prior finding that SliceShop’s prescriptive analytics tools could be cost-effectively extended to physical inventory management. 2. T = Tools & Techniques. 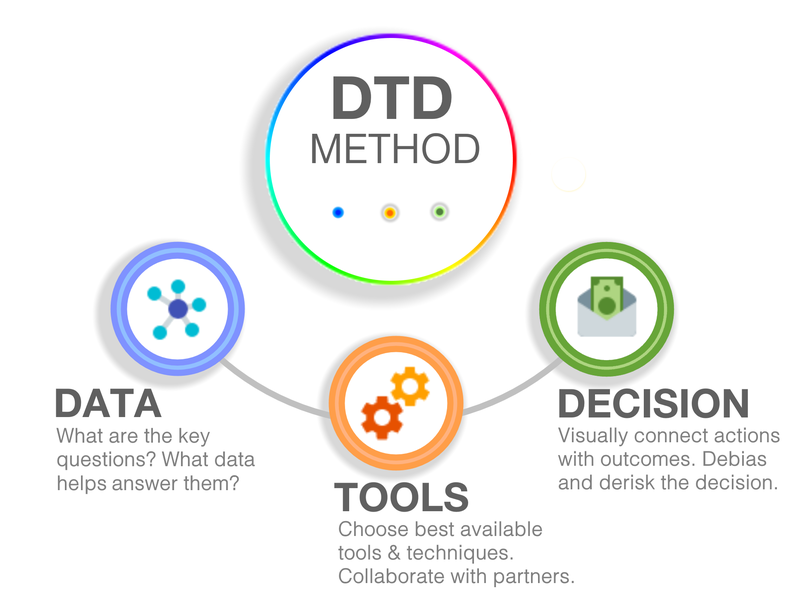 Continuing with the DTD Method, subject matter experts recommended the best available analytical techniques and models, quantitative or qualitative. PepperSlice guided peer review of evidence, methods, and insights - allowing managers to derisk the business decision. This workflow captured insights to answer the key questions and inform the decision. 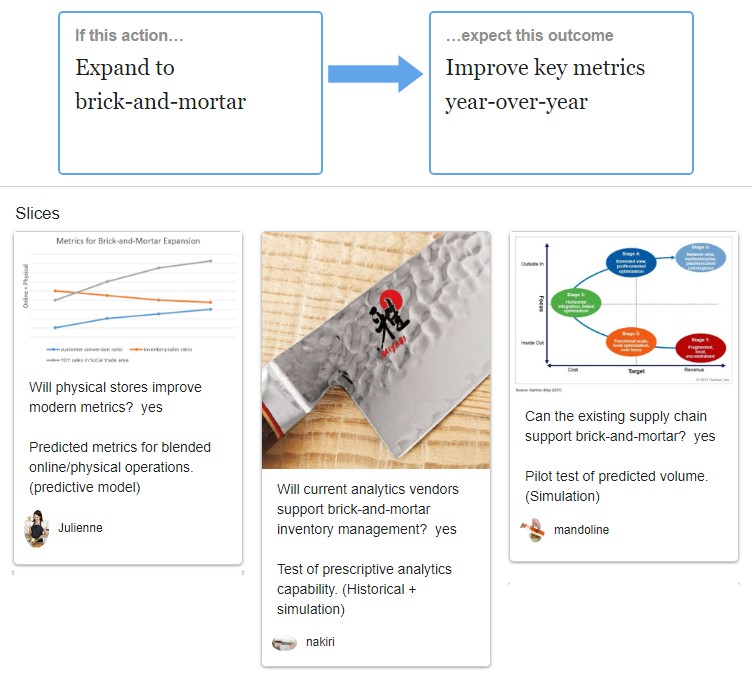 Team members clearly explained uncertainty and risks; they connected possible actions with predicted outcomes in a simple visual format. Rather than allowing bias through traditional presentation theater, beauty contests, and storytelling, team leaders opened the conversation with a concise, bottom-line evaluation. Business and data teams weighed the evidence. Executives decided to open three physical stores. As brick-and-mortar became a reality, people continued adding to PepperSlice, and it emerged as a repository of reusable insights. SliceShop’s analytics platform was integrated into the workflow, functioning as a performance management environment. People now can revisit the decision and compare plan:actual for metrics such as customer conversion ratio and YOY sales. View this actual workflow, live in PepperSlice. Or do the corresponding 15-minute tutorial. PepperSlice is brought to you by Ugly Research.